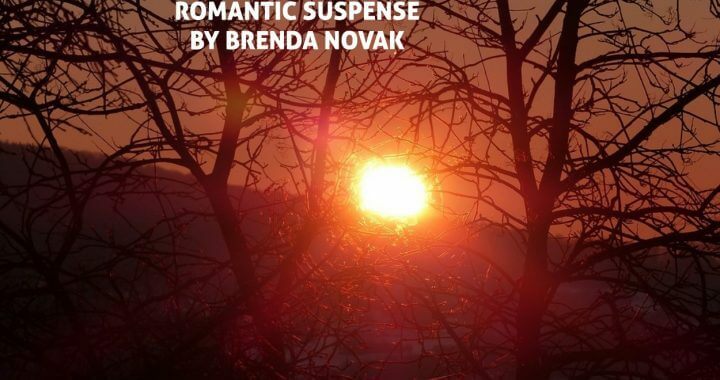 What is romantic suspense? Many people believe any romance that includes a mystery or suspense subplot constitutes romantic suspense. In my mind, however, a romantic suspense novel mixes both genres fairly equally. One strand—romance or suspense—does not significantly overwhelm the other. From the beginning of the story, the reader knows that the protagonists will fall in love and solve whatever mystery has been set up, and one strand will depend on the other, not grow separately. A great hook. These can be really fun to come up with. I got the idea for The Secret Sister, which was just nominated for the prestigious RITA Award, from an episode of Dateline. I was mesmerized as I watched a brother and sister, now adults, talk about the vague memories they had of another child. They were certain that child had been a sibling, but their mother claimed otherwise. They decided to dig deeper, and I was hooked! I wanted to know where that child was and what had happened to her—and why the mother had lied. Then I wanted to write a story that explored the same premise (although my book develops and ends in a completely different way from the incident that inspired it). Believability. The timeline in a romantic suspense novel can create a real challenge for the author. Such stories often take place over a few days or weeks. Convincing the reader that the two main characters are falling in love in such a short timeframe (and when they are often focused on saving their own lives or solving a compelling mystery) isn’t easy. But people often grow close quickly while facing adversity, so allowing the characters a few precious moments to focus on each other can help build convincing emotion. This problem is probably why romantic suspense novels often include two characters who were already familiar with each other (maybe they even had a relationship in years past) coming back together to face whatever threat is present. A fast pace. This is not a meandering novel. Often the stakes are high (usually life and death), so the characters are not taking time to smell the roses. They need to act quickly, which means the story needs to move quickly and not focus too much on long passages of description (as you might get in, say, a straight historical novel or a literary novel with more introspection). Chapter/scene hooks. An author who builds her chapters and scenes such that she ends on an an up beat instead of a sense of denouement propels her reader into the next chapter—and the next and the next and so on. Active writing. Avoiding passive verbs like had, has, was, seemed, and looked, and using stronger verbs in their place will help bring the story alive. We’ve all heard, “Show, don’t tell.” This is part of the same thing. You want your readers to actively experience the story, to live the story, and that won’t happen if you’re standing back, telling them what’s happening from a distance. You need to bring them close in order to ignite their imagination and emotions. Then they will be right there with you, participating in every event. Tone. Hold to a sense of mystery as your tale unfolds. I never thought much about tone until I read a book that was light and funny at first (just like what was promised on the cover and blurb), but suddenly turned dark and angry. The change was so unexpected and so sudden it nearly gave me whiplash, and it made me slightly angry. I felt as if the author had broken her contract with me, the reader, which made me realize that holding fast to the correct tone as a writer is important. Unanswered questions. Why is the heroine doing this or that? Will she escape? What will the hero do when he finds out? Are they going to make it? What’s going to happen next? Knowing how much information to convey—and when—is key. Posing such questions will build a sense of urgency that should escalate through the novel to the black moment, making the “big finish” that much more exciting and satisfying. Subtext. Subtext makes everything richer, more intriguing. According to fellow author Alicia Rasley, “A layered conversation is always more interesting than a simple one. Make it obvious that your characters are really saying more than what is on the page. That engages the readers’ thoughts and imagination as they try to puzzle out the subtleties.” I wholeheartedly agree with her! New York Times & USA Today bestselling author Brenda Novak has written more than fifty books. A five-time RITA nominee, she has won many awards, including the National Readers’ Choice, the Booksellers’ Best, the Book Buyers’ Best, the Daphne, and the Silver Bullet. She also runs Brenda Novak for the Cure, a charity to raise money for diabetes research (her youngest son has this disease). To date, she’s raised $2.5 million. For more about Brenda, please visit www.brendanovak.com.